Patient- and family-centered care can be defined as health care that establishes a partnership among practitioners, patients and their families, ensuring that care delivery respects patients’ wants, needs and preferences and providing patients with the education and support they need to make decisions and participate in their own care. Patient- and family-centered care is associated with improved clinical outcomes, increased market share and patient loyalty, increased patient safety, and higher employee satisfaction. KHA member hospitals adopted a wristband standardization program which uses three specific colors on patient wrist bands to identify a patient’s care status. The colors were chosen based on a nationwide initiative to standardize patient wrist bands and include the use of yellow for fall risk, red for allergy and purple for "Do Not Resuscitate." This initiative also allows hospitals the option to use two additional colors - pink for limited extremity and green for latex allergy. For a CD of the KHA Wristband Standardization Toolkit, contact Deborah Stern or use an order form. The Quality and Patient Safety Technical Advisory Group, working together with infection control professionals across the state, has developed the Kansas Hospital Association Infection Prevention: Hand Hygiene Tools and Resources manual for use by our member hospitals. The goal of the manual (now available in a CD version) is to promote the use of best practices concerning hand hygiene and infection prevention. This comprehensive resource contain sample policies and procedures, brochures, posters, definitions, information on specific organisms and guidelines from national infection prevention and reduction organizations. Most of the materials on the CD can be customized for individual hospitals. If you have any questions, or would like a CD sent to you, contact Deborah Stern or Cindy Samuelson. Questions regarding patient safety issues can be addressed to Deborah Stern via e-mail, or by calling the KHA office at (785) 233-7436. 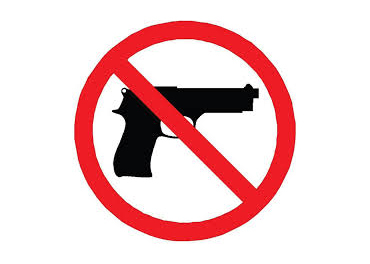 Tools and resources for Kansas hospitals on the new Kansas law that will exempt governmental medical facilities and adult care homes from permitting concealed carry in their buildings for a period of four (4) years. Documents and resources for patient safety related issues.